"We are restoring regular flight operations, but some customers may experience residual delays (Wednesday)," United said in an afternoon statement. The Federal Aviation Administration said all flights operated by United, the fourth largest US passenger carrier, were grounded starting at about 8 a.m. EDT (1200 GMT) after the airline experienced a systemwide computer problem. Some travelers were forced to look for alternative flights and connections before the order was lifted 9:47 a.m. (1347 GMT). "An issue with a (computer) router degraded network connectivity for various applications, causing this morning's operational disruption," United said in a statement. "We fixed the router issue, which is enabling us to restore normal functions." Diane Menditto, 66, a retired teacher from Hackensack, New Jersey, on the United Airlines check-in line at Newark Liberty International Airport said she and her sister-in-law were worried about making a connecting flight en route to Calgary, Alberta in Canada. A separate computer outage affected stock market trading Wednesday morning. The NYSE Group, which includes the New York Stock Exchange, suspended trading in all securities due to technical difficulties. Trading resumed shortly after 3 p.m. EDT (1900 GMT). US Senator Dianne Feinstein, the top Democrat on the Senate Intelligence Committee, said she had not yet been briefed on the two major outages. She told reporters: "This is not an oddity. This is going to continue to happen and we have to begin to deal with it ... and we have to deal with it legislatively." Technical disruptions "are nagging problems, but these are not problems that are going to draw the huge capital investment necessary to (approach) 100 per cent reliability," Mann said. "The revenue loss in these cases is relatively modest." United flights were also grounded on June 2 due to "automation issues." 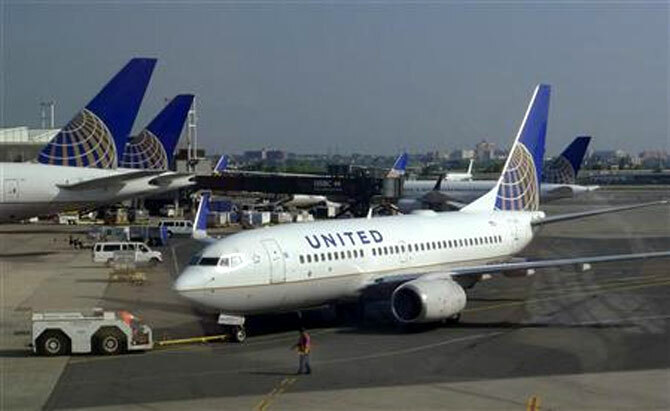 United Continental Holdings Inc shares fell 3 per cent to $52.67. Rajini, Kamal Haasan... The biggies who voted!